The death toll went up by one in San Ignacio where as recent as Sunday morning; a Guatemalan national was stabbed to death as he exited a popular nightclub. That murder was followed by another this morning when a twenty-six year old resident was killed in a drive-by shooting in San Ignacio. Darwin Guerrero was fatally wounded while working on Pond Avenue where a lone gunman on an all-terrain vehicle drove up and opened fire on him. Despite quick police response, Guerrero’s assailant managed to flee the scene of the shooting by heading toward Guatemalan territory. 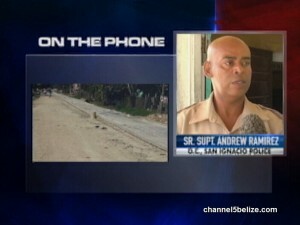 Guerrero was hit multiple times to various parts of the body and was pronounced dead at the San Ignacio Hospital. According to Superintendent Andrew Ramirez, the motive for the deadly assault may have been jealousy. Police are continuing their investigation into this morning’s murder.